« Happy birthday, Dad. I miss you. This past December, Lodestone Theatre Ensemble kicked off its final season with Lodestone After Dark: The Beginning of the End. 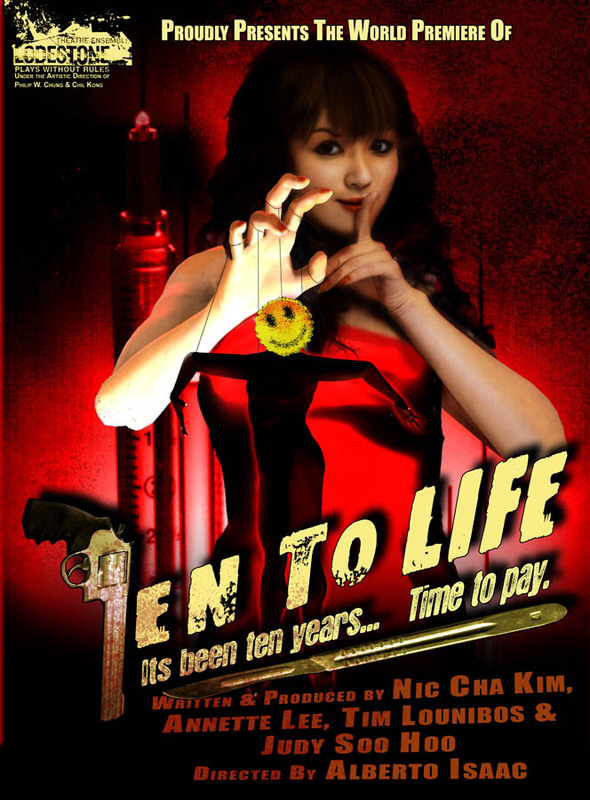 I’m totally excited that their season is starting up soon with the premiere or TEN TO LIFE, four one-acts developed specifically for the tenth season by four writers who have been an integral part of Lodestoneâ€™s history — Nic Cha Kim, Annette Lee, Tim Lounibos and Judy Soo Hoo. The show will be directed by another Lodestone veteran, Alberto Isaac, who previously helmed Lodestoneâ€™s productions of Claim To Fame and The Trojan Women. A Census agent exposes a family’s perverse, hidden secret…A desperate loser turns to experimental surgery to seduce his high school crush…A happy homemaker struggles against an ancient evil that lurks in plain sight…A controlling psychologist must protect his lifeâ€™s love from her memories…Lodestone kicks off its final season with four twisted one-acts touching on the bizarre and unnatural. It’s been ten years… Time to pay. The cast includes Peggy Ahn, Feodor Chin, Ewan Chung, Elpidio Ebuen, Emily Kuroda, Jully Lee, Janet Song, Carin Chea, Vincent Gabucan, Joon Lee and Andria Udave. Running from May 2 â€“ June 7, 2009, performances are Fridays and Saturdays at 8 pm, Sundays at 2 pm., May 2 â€“ June 7, with low-priced previews on April 30 and May 1. Tickets are $16 for general admission, $14 for students/seniors. Group rates of $12 each are available for reservations of ten or more. Tickets for the May 2nd Opening Night Gala with a post-show reception are $25. All Sunday matinees (except June 7) will be pay-what-you-can admission with a $1 minimum.